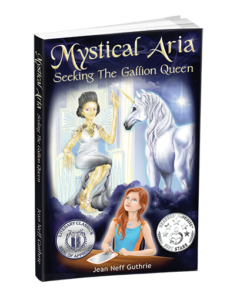 Aria Vanir, psychic twelve-year-old from Virginia Beach, trusts only her mother with the knowledge of her visions until she connects with technically and spiritually advanced aliens, the Gallions. Then Aria confides in her best friend, Tommy Manger. His surprise doubts and anger threaten to end their friendship. Nashata, Queen Supreme of the Gallions, leads a diplomatic mission to make peaceful contact with Aria, the only human she trusts with the secrets of her people. When the Gallions beam Aria, Tommy, and Aria’s tomboyish 15-year-old sister, Jackie, aboard their superspaceship, Aria’s mother makes a bold move to save her daughters. 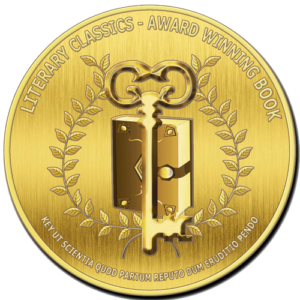 None of them realize that the Navy has sent Aria’s SEAL father, William, on a mission to capture the Gallions or destroy their superspaceship. Worse, William has no idea that he’s putting his daughters in harm’s way. Can Aria succeed in her quest to meet the queen in person, despite the fears and disbeliefs of those closest to her? Can William forgive himself and seek peace with the aliens?